CRAZY DISCOUNT! Was: $329.95 Now: $199.88! Everybody deserves a good night's sleep. 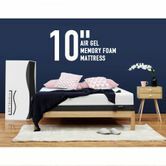 The Nighslee Single Mattress Cool Gel Memory Foam Bed will help you achieve it. Our eco-friendly memory foam mattress is designed to give you the conforming, incredible comfort and support from the inside out. 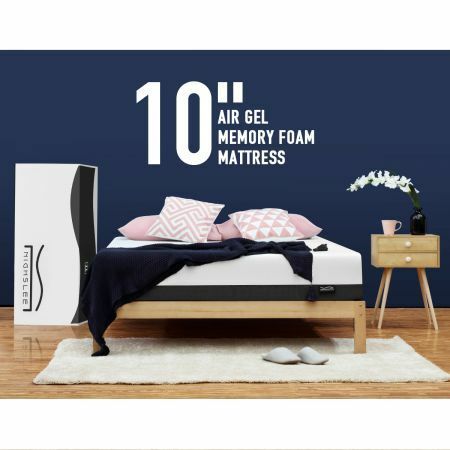 The unique combination of 3 foam layers from this mattress delivers cooling bounce, contouring pressure relief and core support for amazing sleep. The top two layers of performance foam guarantee the foam mattress to adapt to all body types and any sleeping style. We call this temperature-neutral cooling AirGel™ and bamboo Contour™ eco comfort foam. Please open your single mattress package within 72 hours of receipt as mattresses on average take 48 to 72 hours to decompress, and sometimes up to a week to return to its original, plush shape in special cases. Look no further than this comfort mattress to pamper yourself or your guests now. ---The rayon from bamboo Fabric provides a cooling effect that helps prevent overheating or sleeping hot. Great seller. Happy to buy from again. Excellent seller would recomend to others. This product comes with a 10 Year Manufacturer's Warranty, please click here for details.